Is there such a thing as a 'sixth sense'? Is 'mind-reading' possible? Can human beings learn to know anything without using the ordinary senses? These questions and others like them have perplexed mankind for thousands of years, and nearly everyone has thought about them at some time or other. Seven years ago the author of this book set to work to answer them scientifically. He and the men and women who worked with him wanted to find out if we are all nothing but intricate, partly mysterious machines, as so many modern thinkers believe, or if there is something more than that to the human mind, something which might account for the puzzling, out-of-the-ordinary experiences which all sorts of people have had, in all times and countries. In a laboratory at Duke University they have been putting these questions to scientific and uncompromising test, and the results of those long years of research are the subject of new frontiers of the mind. The story of the Duke experiments is a strange and deeply exciting one. Using a few simple cards, a pencil, and a piece of paper, Professor Rhine and his associates began to test ordinary men and women to determine whether they could display powers of the mind not to be explained by science as we know it today. If there was a way of learning things without the senses, they believed proof of it might open the road to a new interpretation of the nature of the human mind and its place in the universe. And it may prove that the work which this book describes will actually provide the cornerstone of a whole new understanding of ourselves and the world outside us � the universe of matter and energy. Certainly the results of the Duke experiments are revolutionary and remarkably significant. Yet the reader is asked to take nothing on faith. Professor Rhine tells in detail how the work was carried on, and demonstrates the fact that it is not open to scientific question. Other colleges and universities have repeated his experiments and obtained the same incredible results. 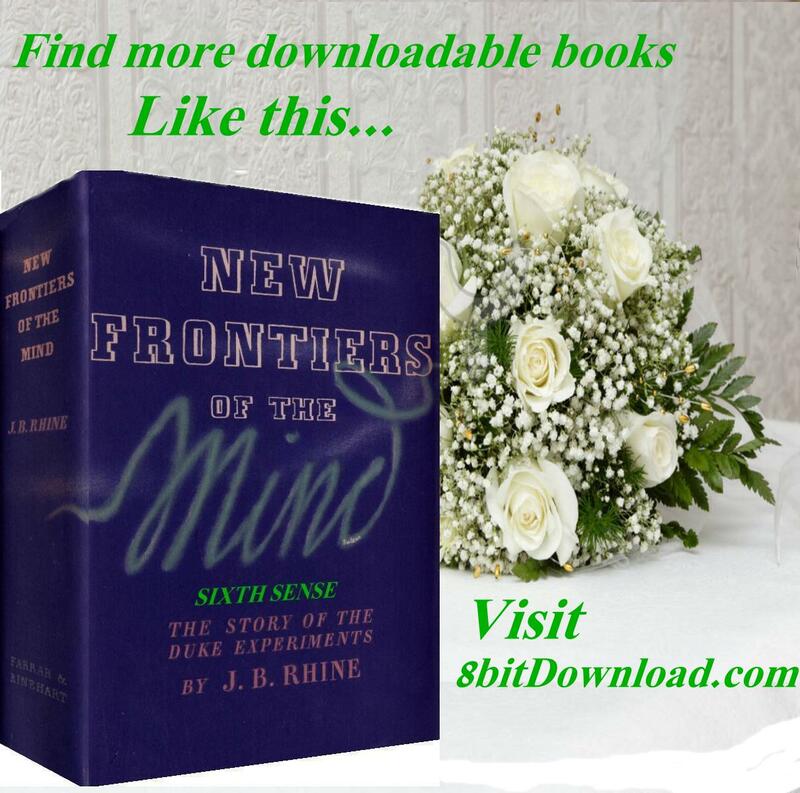 These few statements about new FRONTIERS OF THE MIND are enough to indicate the extraordinary interest which must attach to the book for every person of alert mind. Many readers with a reasonable amount of care and patience can share in the investigation of a new frontier of science by performing the same tests which Professor Rhine and his associates have conducted at Duke University.